Mobile credit card processing and online payments of all types can ensure business cash flow during and after a disaster. When the storm is over and people emerge to shop again, how will businesses manage accepting credit cards? Or get paid by check if mail is undeliverable? Critical issues include power, telephone and internet access, as well as human capital when employees scatter to many different places. How can we help your business when a USA storm is imminent? Online pay page– hosted pay page supporting ACH/echeck with or without guarantee, credit card, wire and Paypal. No web developer is needed for this fast solution; just send our custom link to your customers. Electronic Bill Presentment & Payment- Login to a portal and Text or email your customers a pre-filled payment object with link to pay a specific invoice; optionally create detailed invoices on the fly if your accounting system is not available. Virtual terminal – your employees key enter the payment information via virtual terminal on a secure hosted web page or using the mobile app (free). All solutions above are quick and easy to adopt and they work with your existing financial partners such as merchant services or check processor. Remote training videos can help users get up and running the same day as the account is activated from wherever they are. For the two self-pay options above, when using 3-D Secure cardholder authentication, liability for fraud shifts to the issuer, much like EMV does for retail. Additionally, the qualified rated for credit card acceptance in many cases is the same as retail. It’s probably not realistic to get a credit card swiper on short notice because in the current retail world, EMV chip card and point to point encryption are critical to protect against fraud and data breaches. Use a store bought mag card reader at your own risk. Works with all or most processors- bring a merchant statement, online login, or contact information with you when evacuating so we can connect to it. Each user has unique login for compliance and tracking; same permission based login across all solutions. Standardization across all locales for complete transparency, and compliance. With simple cashiering you can even manage and track cash transactions. For mixed retail and card not present merchants, especially with a business to business customer component, a traditional desktop terminal can cause problems including failed PCI compliance, higher merchant fees, and increased losses from customer disputes – the dreaded chargeback. 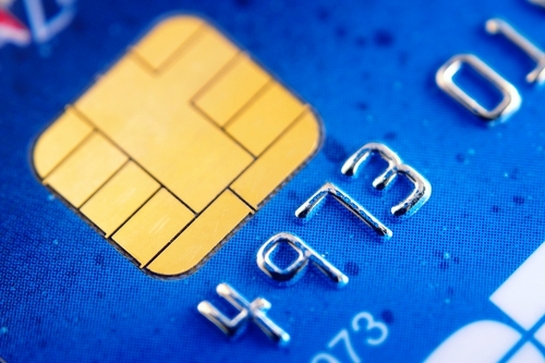 To comply with EMV, now is the time to address multiple business needs to maximize profits. Why is a traditional desktop terminal bad for mixed customer base? Merchants have retail merchant accounts with their swiped terminal. When a transaction is key entered, it’s automatically qualifies for the worst non-qualified rate for the card type, because expected magnetic stripe data is not received. Key entered or card not present (CNP or MOTO/ mail order telephone order) transactions require additional data to protect against fraud losses. Users can bypass prompts if asked, but more importantly, the transaction is still presented as RETAIL, so retail rules apply for responding to disputes. Internal paperwork such as credit card authorization forms are PCI compliance nightmares and often don’t meet requirements to win disputes. For any business with a commercial account aspect, there is NO desktop terminal capable of qualifying merchants for the lowest fees, available only by supplying level III data. What’s the alternative to a desktop terminal? Desktop software like PCCharge and ICVerify have all announced end of life because they cannot support new payment technologies like EMV. The swiper wedge that many small businesses have used do not support EMV and that won’t be changing, so they too will disappear. The alternative is a payment gateway with virtual terminal; a cloud based solution. Buyer beware. There are significant differences between gateways; many of them are not much better than a desktop terminal. Choose an agnostic gateway. That way if you want to change processors in the future, it’s not disruptive to operations. Verify the gateway has an EMV certified terminal for your processor today. For example, First Data publishes their list of certified solutions here: First Data Integrated Partner Solutions Certified Listing. Beware language such as, ‘EMV ready’ for both gateway and desktop solutions. EMV certified terminal is not the same as a certified solution that can be EMV enabled today with your processor. Ask if the gateway supports level 3 processing for retail. If the gateway cannot dynamically change transaction representment from retail to MOTO – and virtually none do- key entered transactions have the same risk as a desktop terminal. What about mobile? Mobile EMV will largely be rolled out next year, as hardware needs to first be certified, and then all the other certification components will follow. The only payment solution today that is supports level 3 processing for retail is CenPOS, which also has the most EMV terminal certifications of any gateways to date. CenPOS is a merchant-centric, end-to-end payments engine that drives enterprise-class solutions for businesses, saving them time and money, while improving their customer engagement. CenPOS’ secure, cloud-based solution optimizes acceptance for all payment types across multiple channels without disrupting the merchant’s banking relationships. CenPOS is available globally. For additional information, contact Christine Speedy, 954-942-0483. The Authorize.net virtual terminal is expensive for business to business merchants, even though rates seem cheap. That’s because Authorize.net ® only supports level III data for certain integrated solutions, leaving B2B companies out of luck qualifying for the lowest interchange rates for corporate, business and purchasing cards. Additional services which used to be extra, are now free: Automated Recurring Billing, Advanced Fraud Detection Suite TM, Customer Information Manager (subscription management). Not shown above: Data Rate III large ticket ($10,000 minimum) Level 1 rate is 1.20% and $40, up to Level 4, 1.51% and $40. MasterCard Cardholder Spending Requirements for Small Business Products: Business Level 1 – $0 to $24,999; Business Level 2 – $25,000 to $49,999; Business Level 3 – $50,000 to $99,999; Business Level 4 – $100,000 and greater. The table below shows different rates possible for the same transaction. Using the Authorize.net virtual terminal, the best rate possible for a Level 1 Business card is usually 2.65%. While the Authorize.net virtual terminal supports Level II Data, to qualify for the Level II rate, it requires a valid sales tax amount, tax indicator and valid tax id. Sales tax must be between 0.1% and 30%. If tax exempt ($0 entered as tax amount or blank) will clear at Commercial Data Rate I. Most business to business companies do not have a sales tax amount. $5,000 sale, Authorize.net cost is $132.60 vs $92.70 CenPOS. * CenPOS saves merchant 27%. $25,000 sale, Authorize.net cost is $740.10 vs $442.70 CenPOS. CenPOS saves merchant 40%. How does CenPOS help merchants qualify transactions for level 3 rates? There are multiple requirements to qualify for the level 3 rates. These include submitting level 3 data, valid authorization, and authorization and settlement amount must match, among others. CenPOS automates interchange management in compliance with card acceptance rules, making it light and easy for users to comply, while also removing employee decision making that can impact the cost of card acceptance. CenPOS customers achieve similar results across all sales channels, including retail. CenPOS is compatible with all the major processors, so merchants do not need to change their financial partners. No special software is required; users can access via a secure web page, mobile device, or integrated solution. Contact CenPOS Authorized Reseller Christine Speedy today for a demo and free trial. Thinking about updating to an EMV compliant terminal to accept chip cards? Do you accept payments online today or plan to in the future? Choose a cloud based solution that will address all omnichannel sales needs current and future. Once you’ve narrowed your list of prospective vendors, use these questions to quickly identify differences. Is the terminal EMV certified today for my processor? This is critical because many companies are behind schedule. Can I use with any merchant processor? The average company will change processors. Flexibility is key to business continuity. Does the gateway support level III processing for retail? Does the gateway support 3D-Secure? An no answer to any of the above is a deal breaker. Accepting a yes will inevitably lead to pain sooner or later. Can you demo a swiped transaction with a commercial card requiring level III data? Can you demo how a token is created and use in a transaction? Do you perform a zero dollar or a one dollar authorization when a token is created? Can you show how to manage users and their permissions (roles)? Can you show how to research transactions? 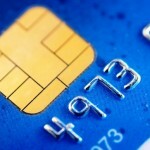 EMV stands for Europay, Visa, Mastercard, the three companies that developed the standard for the security chip. 3D-Secure, including Verified by Visa or Vbyv, are optional security standards for online payments. 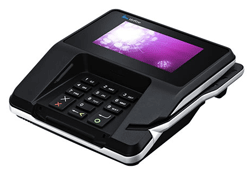 EMV certified – terminal approved for use and can be activated immediately.